The Spyder Dare Ski Sock from Spyder will make you believe in the power of a good ski sock. Reinforced heels and toes slow the process of wearing out, while extra cushioning on high-impact areas help increase foot comfort, even in stiff ski boots. The Dare Ski Sock is made of a quick-drying acrylic/nylon/elastane fabric blend and gently hugs your foot for all-day ski sessions. Compression points offer mid-level support to help absorb impact. "If I wear a 10.5 D what size "
"Thank you for contacting us. Based on the given measurements of a 10.5 D foot. 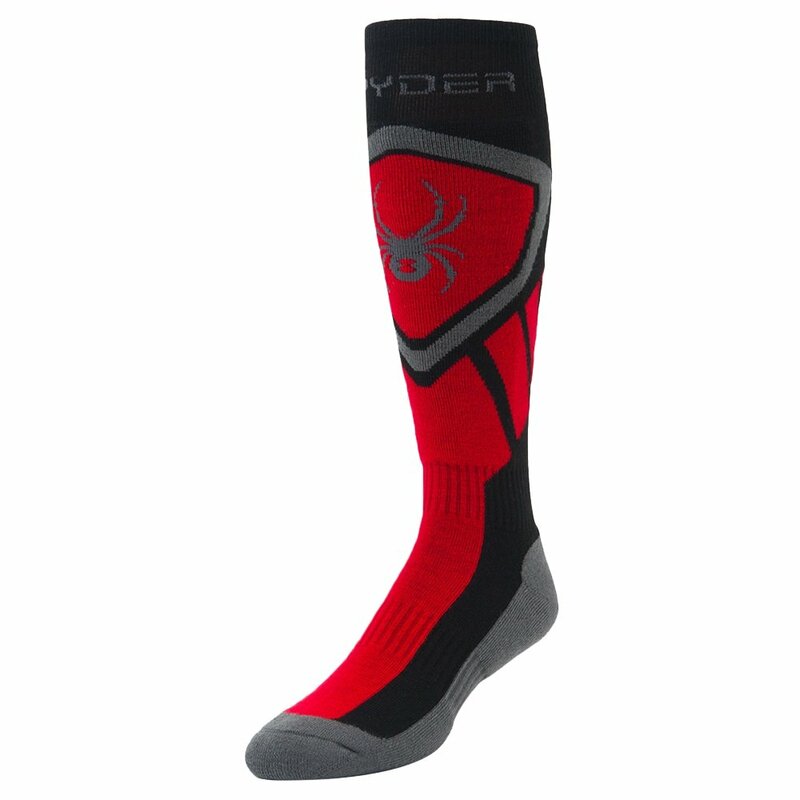 We would recommend a size large in the Spyder Dare Ski Sock. We hope this information helps. "